Package a winning repertoire and bottle it with unbridled enthusiasm and welcome to an evening of top flight hits and an energy level guaranteed to get even the most inactive on the dance floor. As one fan recently stated; “The band Martini Alley rocked the venue with a spectacular musical performance. So many great tunes! 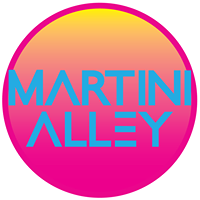 – such fun times.” Martini Alley have been entertaining all ages throughout the GTA and beyond for the past few months and are quickly gathering a loyal following. Everyone is enjoying not only the eclectic repertoire but the enthusiasm of the band – these guys like to have fun and it’s certainly infectious based on the reaction of all whose who experience them. If grooving and retro 70s 80s and 90s music is your thing, add lots of fun to the mix, and don’t forget your dancing shoes.